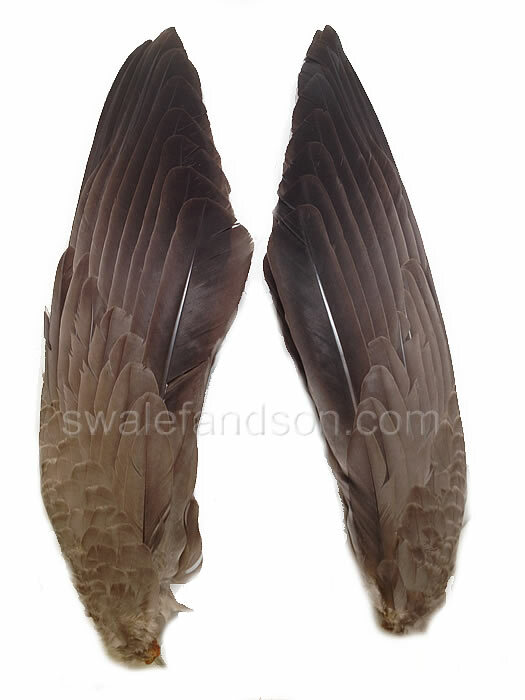 Most often used as Smudge Wings, these are whole primary flight sections from Canada Grey Geese. The average length runs between 16-20" from tip to tip. There are usually 9 primary flight feathers on each wing in varying lengths and widths. They are sold in pairs, so you'll get one right wing and one left wing.